Plans for a new £24.6m academy in Cheltenham, specialising in sports, science and religious education, have finally been approved. All Saints' Academy will be built on the site of the former Kingsmead School and will replace Christ College. Christ College only opened in 2007, as the county's first joint Roman Catholic and Church of England school. 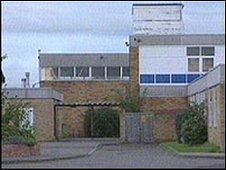 Kingsmead School, which was in special measures, stopped taking new pupils in 2008 and closed in August 2009. The new academy, which is being sponsored by the Catholic diocese of Clifton and the Anglican diocese of Gloucester, will take 900 11 to 16-year-olds. Building work is due to start next month and the school should be ready to open by September 2011. Suzanne Williams, county councillor for Springbank, said: "Not only will the academy provide an exciting learning environment for young people in north-west Cheltenham, it will also provide first class facilities for the wider community and will help support life-long learning in the area. "All in all, it provides a fantastic opportunity for Cheltenham, both now and in the future."